A Glastar Screen Enclosure keeps all the bugs on the outside. 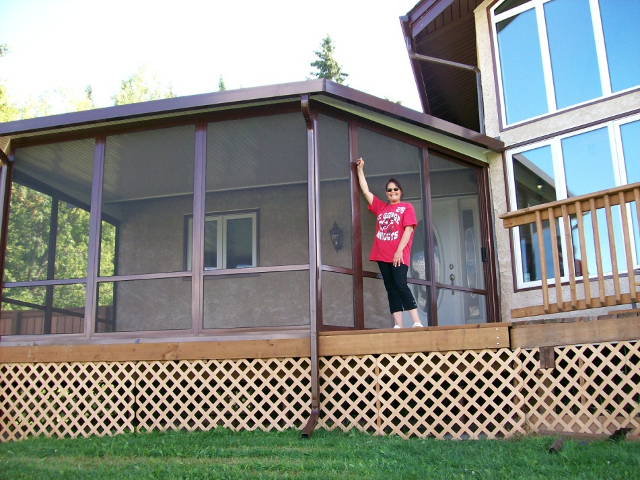 Custom designed for your home, cottage, or balcony, the screen enclosure will blend seamlessly with your existing home to provide shade relief for your patio area and a refuge from the insects. 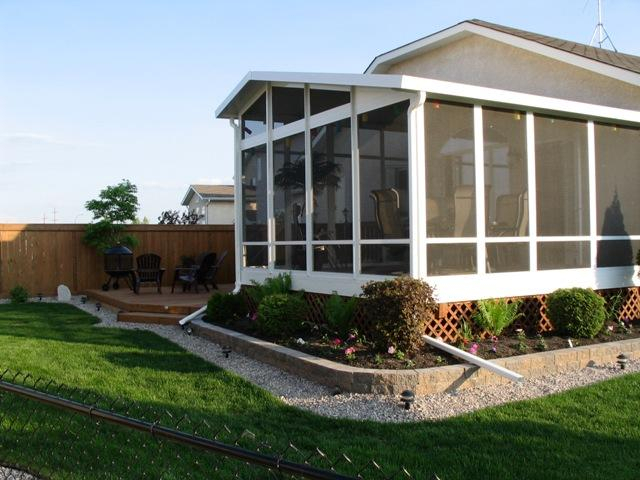 Typically attached to the home and installed on a wooden deck, the screen enclosure is a maintenance free product constructed from the same high quality aluminum mainframe found in our 3 Season Glastar Sunroom System - providing you with the option to upgrade to a 3 Season Glastar Sunroom System at a later date. The screen room will not only be practical but will enhance the value and appearance of your home as well.